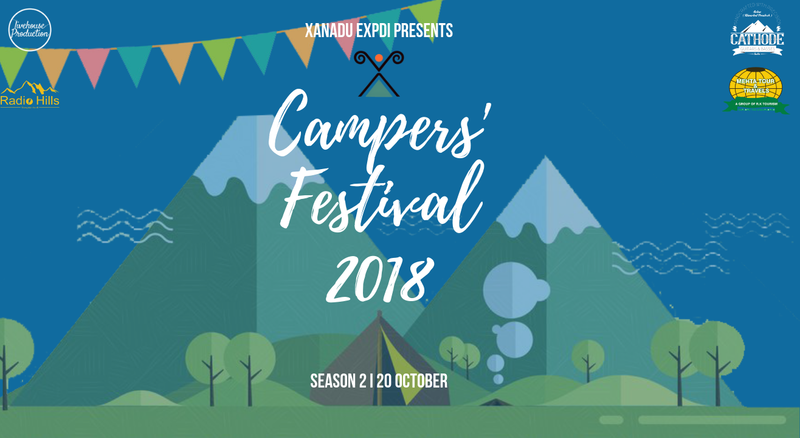 We are overjoyed to bring you Season 2 of Campers festival at Xanadu Cafe. Bigger and better, this year we promise to repeat all the fun from Season 1 and offer you much more. Camping, live music, scrumptious food, beer and many entertainments will comprise the highlights of this festival. We invite you to add to the gaiety of our celebration. Hailing from Rohru, Himachal Pradesh - Shubhank Sharma is a self-taught singer, songwriter, composer and, multi-instrumentalist. He gains his influence from a varied spectrum of genres - a blend of blues, folk grunge to name a few. He is ingenious when it comes to his playing style and uplifting vocals. He is dynamic in his way of unfurling different soundscapes and captivating the audience with his mind-blowing skill set. Is the lead singer of band ‘The Khalnayak’. Just 21, this young talented musician is playing his own compositions. He and his band mates have grabbed a lot of titles in battle of bands and are giving a new edge to indie rock scenario. A music teacher by profession, Pradeep Chauhan has a very beautiful voice that can leave his audience spell bound for sure. A classical singer and keyboard player, Pradeep is known for his unique song selections and beautiful executions. If one is coming through public transport, take any bus to Shimla from Chandigarh. After reaching Solan, one needs to get off at Salogra station (around 6 km from Solan on the way to Shimla) and from there a taxi will cost 300INR to reach to event.